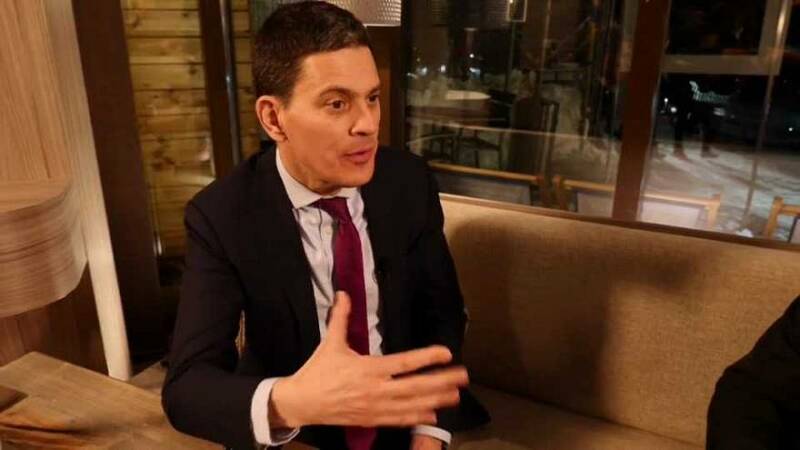 Former UK foreign secretary David Miliband has hit out Jeremy Corbyn’s leadership of British Labour, arguing that the party is still “struggling to assert itself” despite being up against a government that is “leading the country nowhere”. In an exclusive 'Euronews Uncut' interview, top political commentator and journalist Andrew Neil asked Miliband to respond to arguments that the Labour Party is doing better in Britain than the French socialists or the German or Italian social democrats because it had become more left wing. "He's the success story," he said. Miliband, who narrowly lost a Labour leadership contest to his brother Ed in 2010, responded that the party under Corbyn had not been able to secure power, and highlighted differences with other European electoral systems. “Well he's not in government at the moment. We lost the last election and I think it's important to remember that the two-party system in Britain marks it out from really the rest of European politics,” he said. “It's striking to me that despite the fact that we have a government that in all sorts of ways — Brexit, but also elsewhere — is going nowhere and is leading the country nowhere, Labour is still struggling to assert itself."